For those of you who missed this great meeting with Charlie Wolborg aka Charlie Curve of Curve, Purveyor of Attention. I did record a short video clip to wet your lips with. If you missed this meeting, hopefully I will see you at the next one. Again, this was a great meeting with over 50 investors present to learn from Charlie Wolborg. Hope to see you at the next RDI meeting. P.S. 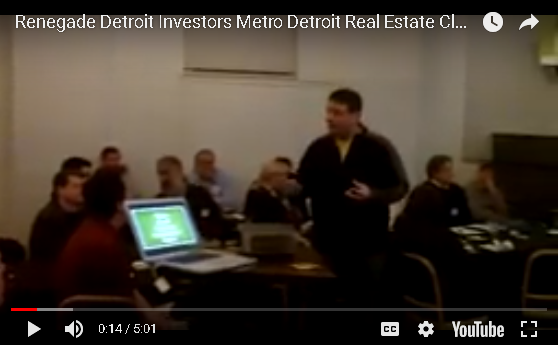 Renegade Detroit Investors is on facebook! Check us out and continue the conversation with other Renegades.